Our Tot Wagon is the ideal companion for all indoor and outdoor imaginative play. 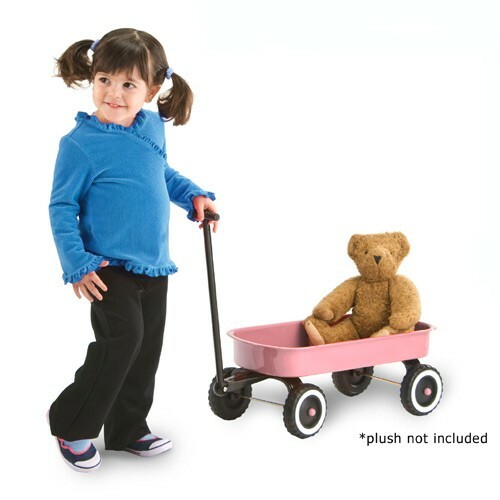 Sized just right for toddlers, our wagon is small enough for a child's little hands and big enough for any imagination. Great for dolls & plush toys and perfect for gift baskets. Features seamless steel body, working handle with Safe-T-Design solid grip, durable molded wheels. Ages 18 months to 3 years old.